Ultra offers an extensive menu of first-class coffee and coffee beverages. Freshly prepared, superb-quality coffee is available in all flavours and colours, so all that’s left for you to do is sit back, relax and enjoy the amazing taste. Our signature coffees will soon become your favourite part of the day. Enjoy coffee with your loved ones, relax with a good book or get some work done in our creative environment. A cup of great coffee will be the perfect companion for work or play. It was in 1947 that Italian brothers Orazio and Carmelo first spotted an opportunity to introduce a taste of their Italian heritage to their new home, Australia. Longing for the much-loved Italian ritualof a daily espresso the brothers developed their own piece of Italy right here in Australia, because they knew that the flavour of coffee is at its best when it’s fresh. In 1958, the brothers began locally roasting their own premium 100% Arabica beans in Australia long before the market understood this measure of quality. Today, thanks to owner and entrepreneurial CEO, Les Schirato AM, Vittoria Coffee has grown to become a household name and continues to set the standard for Australia’s ingrained cafО culture and obsession with coffee. It’s the family’s deep involvement that ensures consistency and quality across the board. 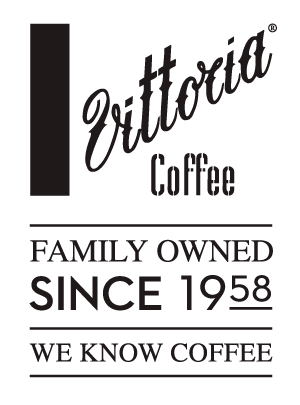 The family personally leads all blend development, with both Les and his son, Managing Director Rolando, instrumental in every creation within the Vittoria Coffee range. This was the beginning of the iconic Australian coffee industry we know and enjoy today, and in that moment, the pioneers of what has become a globally acclaimed industry found their new home.